Marriage is a sacred institution that requires the highest level of fidelity to one’s partner. Unfortunately, many husbands betray their wives by practicing acts of infidelity. In fact, 21% of men cheat on their spouses according to the General Research Survey by the National Opinion Research Center. Unfortunately, many women fail to realize that their husbands are cheating and then it’s too late. More specifically, they become aware of it when their husband leaves them or gives them an STD. Some find out about it when their husband has a child with another woman. These are terrible ways of discovering such things. Fortunately, finding out whether your husband is having an affair is possible. In fact, here is how to know if your husband is cheating. Quiz: Afraid Your Husband May Be Cheating? Our Lets You Know! Communication is critical for any kind of activity, including cheating. In this case, husbands talk to the other woman through face-to-face contact or their devices. For example, he can call or text her so they can decide where to meet. These conversations are dead giveaways, so cheating husbands tend towards being overly protective when it comes to their phones. Some of them will change their pass codes, keeping them a secret. Others will save the number of the other woman differently. Most of them delete their phone messages as soon as they finish texting or shortly afterward. These are signs that something is amiss. Significant events change your life regardless of their positive or negative outcomes. In this case, cheating influences your husband’s perspective on life. For example, developing a keen interest in the attitude, culture, and demeanor of the other woman is likely. Usually, this development starts with the adoption of a new way of dressing. This evolving mode of dressing caters to the needs of the other woman. More specifically, it reflects her fashion sense. Men change their cologne as well so that it can match with the ones that the other woman likes. Other changes include coming home at the wee hours of the night after spending the evening with a home wrecker. Take note of these changes because they are signs of a problematic marriage and a cheating husband. Cheating husbands change this attitude differently. For instance, some of them become harsh to their wives suddenly and viciously. This harshness arises from the fact that they do not want questions over their suspicious behavior. Therefore, being unapproachable is a deterrence mechanism that scares their wives into keeping quiet even though they have legitimate questions to ask. In contrast, other men become overly pleasant to their wives. They might go as far as doing anything you want, including taking you to trips or buying you gifts. The idea behind this seemingly positive change in behavior towards you is to direct your attention away from their cheating ways. Please note that only a few men modify their behavior positively when they are cheating. Therefore, do not assume that he is having an affair just because he is kind to you. However, unfavorable changes in attitude are clear signs of a problematic marriage. 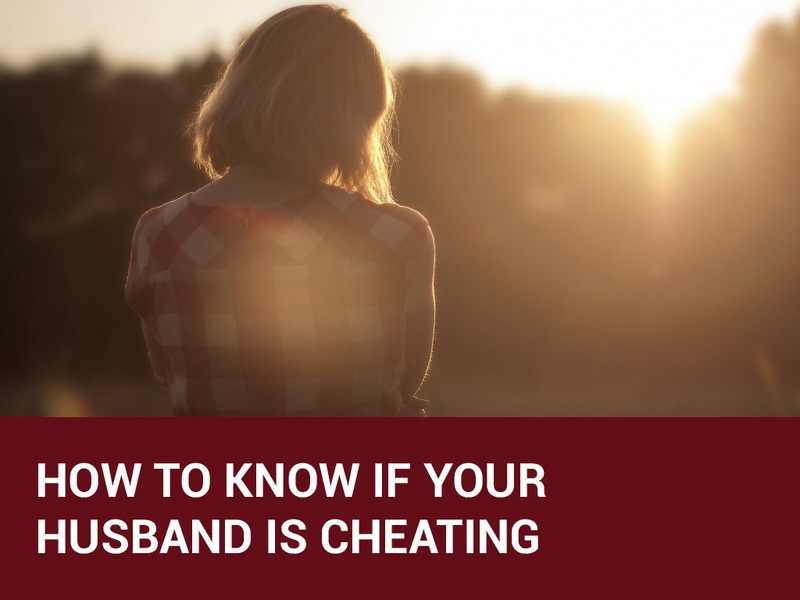 If you’d like to know if your husband is cheating, you may want to check out our quiz. It gives you the likelihood that your husband is straying.